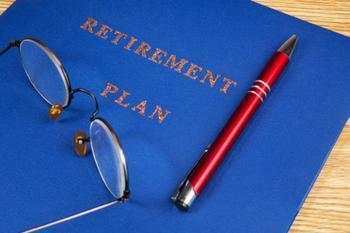 Retirement can be an intimidating prospect, especially if you aren't sure whether you're ready. There are emotional considerations as well as financial. Housing expenses can be a challenge in retirement, which is why many retired consumers try to have their homes paid for by then. But thanks to the housing crisis of 2008, Ambrose says some people approaching retirement still owe more than their homes are worth. The good news? You do have some options. "As a result of the housing crisis, there is a federal Home Affordable Refinance Program, so if you have an underwater mortgage, you can apply for this program, which will help you negotiate better terms on your loan so you can pay it off," Ambrose told ConsumerAffairs. She says you can also stick it out, staying in your home and making payments until the value recovers. If you are a few years away from retirement and have significant equity in your home, the last thing you want to do is refinance and take the equity out. Recent studies have shown more people, especially younger people, are saving more for retirement and starting earlier. But still too many people approaching retirement haven't saved enough. "A lot of people don't take the time to do an assessment of how much money they'll need to retire," Ambrose said. "It's important to know that because it can prompt you to increase your savings rate." If you're at retirement age and you don't have enough money, Ambrose says there are really only two things you can do: cut your expenses and increase your income. Increasing income may mean taking on a part-time job in retirement. If you have put some money away for retirement, it might not be growing as fast as it should. Ambrose says retirement money should be wisely invested. "If your fund is temporarily losing money, you shouldn't panic, because the markets go up and down," she said. "If you have a diversified portfolio, some of your assets will do well while others may do really poorly, and that's just cyclical." But if you have assets that have lost value and it's clear they aren't coming back, Ambrose says its smarter to sell them and reinvest in assets that will provide a return. This is where a trusted and objective financial advisor is helpful. Adult children are a tricky subject. Since the financial crisis, many have had a hard time launching, depending on aging parents for support. "Merrill Lynch did a study and found six out of 10 people age 50 and older were still supporting an adult child," Ambrose said. "This is difficult because you want to help out a loved one, but as you near retirement or you are in retirement, you might not have the means." Ambrose says many financial planners have told her this has become a major issue for their clients. In some cases, she says, the financial planners volunteer to talk to the adult children about it, to explain the hardship it is placing on their parents. "In many cases, the kids simply don't know, and their parents don't bring it up," Ambrose said. Is retirement an outdated concept? Are you sure you're getting the best retirement advice?